Benamôr has been making original beauty recipes in Lisbon since 1925 based on natural ingredients. 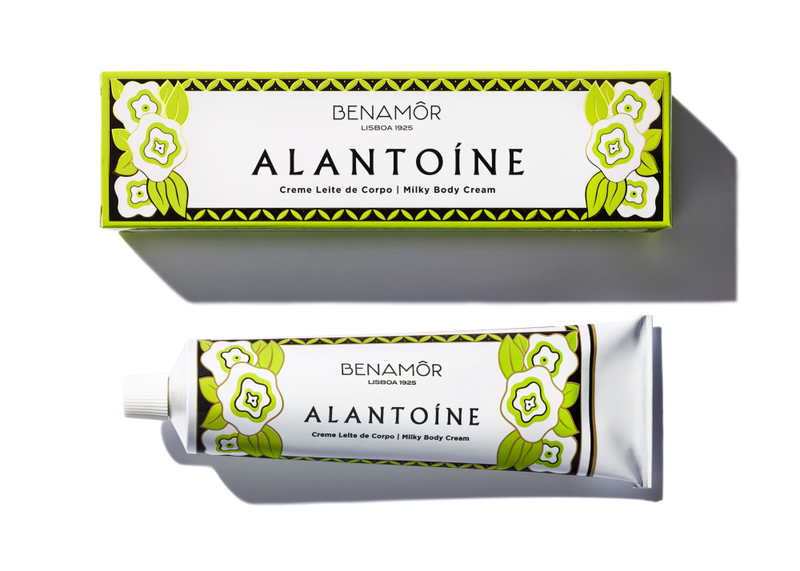 Blending allantoin extract with glycerin, Alantoíne Milky Body Cream is an incredibly lightweight texture that sinks in like no other. It turns your skin instantly smoother, rebalanced and refreshed, for a total body turnaround. Directions - Apply this ultra fluid cream on body skin, spread it gently and massage, until it is totally absorbed. – Allantoin is a classic vegetable ingredient used in cosmetic formulas since early XXth century, acting as a skin protector and emollient. It presents a soft keratolytic action, promoting a natural peeling that turns skin softer and smoother. – Combined with other powerful natural emollient ingredients such as bee wax, hydrating and nourishing skin, turns it softer and smoother. – Suitable for normal to dry skin. – Benamôr’s products are paraben and petroleum free. Dermatologically tested formula.